Although scholars have long been aware of the crucial roles that gender plays in music, and vice versa, the contributors to this volume are among the first to systematically examine the interactions between the two. This book is also the first to explore the diverse, yet often strikingly similar, musics of the areas bordering the Mediterranean from comparative anthropological perspectives. From Spanish flamenco to Algerian raï, Greek rebetika to Turkish pop music, Sephardi and Berber songs to Egyptian belly dancers, the contributors cover an exceedingly wide range of geographic and musical territories. Individual essays examine musical behavior as representation, assertion, and sometimes transgression of gender identities; compare men’s and women’s roles in specific musical practices and their historical evolution; and explore how music and gender relate to such issues as ethnicity, nationality, and religion. 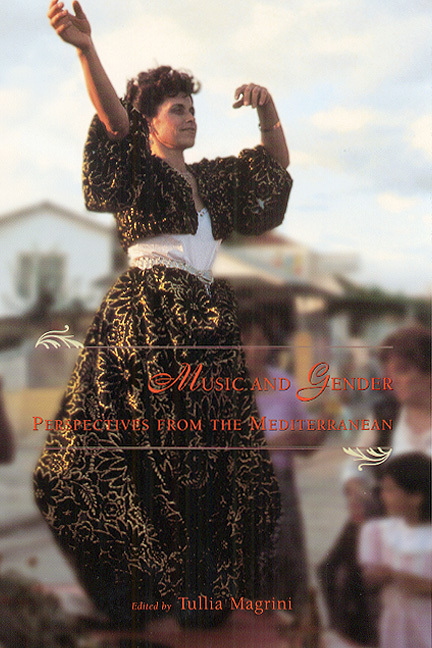 Anyone studying the musics or cultures of the Mediterranean, or more generally the relations between gender and the arts, will welcome this book.